The membership files are used for tracking members of a club or stations to be collected for an award. CQRLOG supports tracking of numerous club memberships using internal files which are part of the installation. 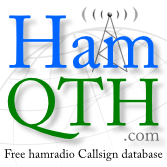 You can choose 5 clubs from this list which can be tracked simultaneously, providing the basic info in the 'Details' window with possibility to add a remark to a log colimn (there is a choice of Award, QTH, Comments to a QSO, Name, County, Grid and State). Here is a list allowing to download a most fresh update of a membership list of your particular interest. Some of below mentioned files are updated twice a week (most active clubs - SKCC, CWOPS, FOC, A1-Club, DIG and some others), some can remain unchanged because such clubs are either not very active or the data availability is limited. There is quite impossible to track changes in every club listed below, so volunteer 'managers' wanted! The callsign should have a format used for logging. Remember, SWL calls (IDs) are meaningless because they can't be worked as usual stations. A manual addition of a SWL report to the log will destroy all other statistics, it is definitely a bad idea. Unfortunately points for SWLs can't be counted in CQRlog, as well as in another logger. Therefore, SWL calls (IDs) must be removed from the membership list! CQRlog responds to a 'core' call sign so all slashed variants are covered. OK1RR covers all OK1RR/P, MM/OK1RR/MM, W6/OK1RR, OK1RR/VP5 etc. No separate entries for slashed calls needed! Entries like SM4GLC/5 are unwanted, because they do not contain a 'core' call sign but a variant (altered call sign). An entry with SM4GLC covers all SM4GLC, SM4GLC/5, SM4GLC/JW, SM4GLC/MM but the entry with SM4GLC/5 covers only SM4GLC/5 and will not respond to SM4GLC or SM4GLC/MM etc. Warning: include_once(/home/cqrlog_com/www/members/script/mtime_list.php): failed to open stream: No such file or directory in include_once() (line 1 of /home/cqrlog/www/modules/php/php.module(80) : eval()'d code). Warning: include_once(): Failed opening '/home/cqrlog_com/www/members/script/mtime_list.php' for inclusion (include_path='. :/usr/share/php') in include_once() (line 1 of /home/cqrlog/www/modules/php/php.module(80) : eval()'d code). Error: Call to undefined function lastChangedFiles() in eval() (line 164 of /home/cqrlog/www/modules/php/php.module(80) : eval()'d code).